William's Blog...with a smile! : Some things take real concentration! Some things take real concentration! Many issues in our lives take some thought. Many others can take no thought. But then there those issues where a lot of thought is needed. So, I have included a test. If you have great concentration you will be able to do this. On the image below, count the black dots. Wow William Feela, I try but having a hard time on it but I have head phones on listing to a webinar. Make it a great day! Sorry, but looking at the black dots gives me a headache. I guess I don't have a lot of concentration. Now I realize, my son doesn't focus too well either. Wonder where he gets that from? Thanks for sharing this interesting challenge. It is fascinating to know what we think we see, may not always be! It is an illusion - there are no black dots. Hi William, I had too many grey and white ones popping around! Good morning William. Talk about eye issues. Now I'll be seeing dots for the rest of the morning. 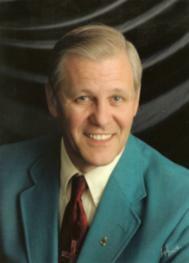 North Branch, MN Real Estate Broker/Owner with WHISPERING PINES REALTY talk to (651) 674-7449 William Feela. The blk dots are on the outside of my vision. When I look at them they turn white. There are no black dots. I checked each one and no black dots for me. Sorry. Thanks for the fun post. Others have answered your question. Did not take long to give up on that challenge Bill, those dots are pretty quick.